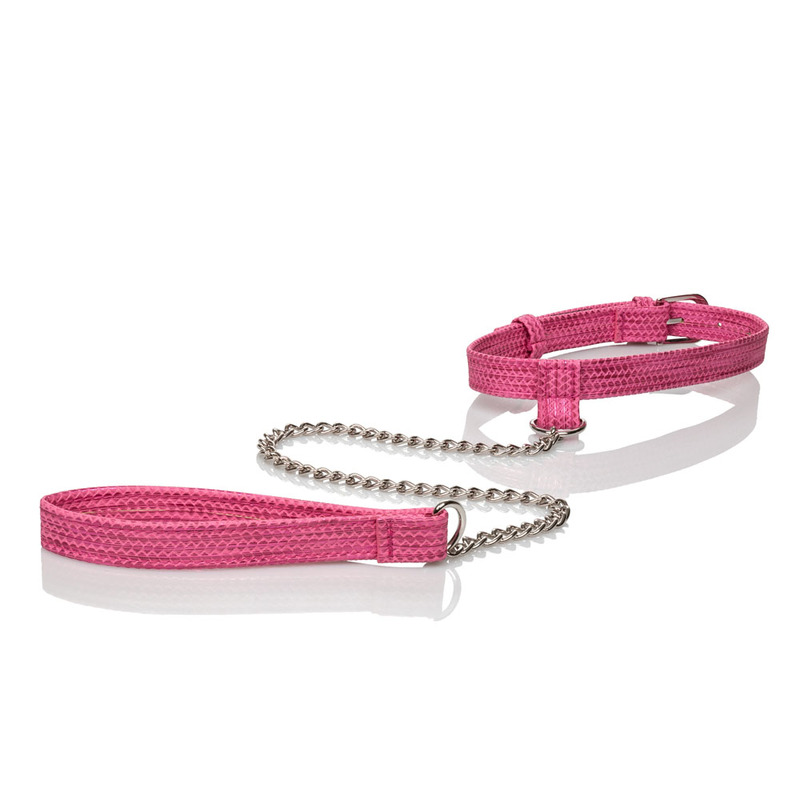 Push the boundaries of pleasure and explore your naughty side with the Tickle Me Pink Collar with Leash. From blushing beginners to frisky fetishists, indulge in sensual restraint play by slipping on the sparkling designer collar and handing luxurious lead to your trusted dom. Once you’ve wrapped this playful collar around your neck, your dominant will love to use the detachable chain leash to command and control your pleasure. Even the freshest sub will adore the thrilling comfort of the plush collar, while experienced lovers can enjoy the bite of the leatherette material with every pull.